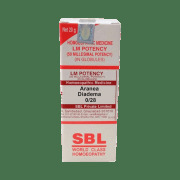 SBL Aranea Diadema is a homeopathy product that is useful in relieving one from pains that have susceptibility to occur during damp or rainy season. This pain usually happens in the heels and the patient feels weakness in other parts too. This is accompanied by strange swelling that increases mid night. The patient may feel the body parts have enhanced considerably in size. This medicine repairs any such issues and combats fever, bleeding from cough, and during periods for the ladies. Even in cases of malaria, when the body feels cold and patient feels chills and pain in the limbs too, this product is a great remedy. 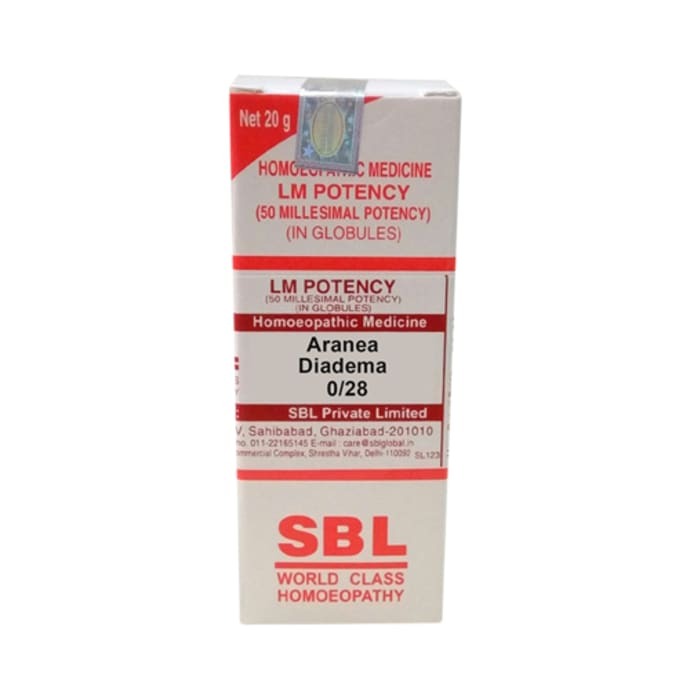 A licensed pharmacy from your nearest location will deliver SBL Aranea Diadema 0/28 LM. Once the pharmacy accepts your order, the details of the pharmacy will be shared with you. Acceptance of your order is based on the validity of your prescription and the availability of this medicine.